One of the most common sports-related injuries, a knee injury or recurrent knee pain can sideline you for weeks or even months. 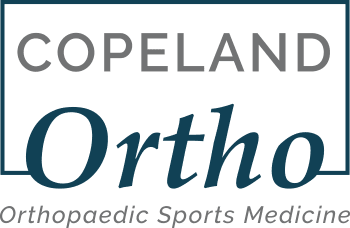 Dr. Marilyn E. Copeland, a board-certified orthopedic surgeon and fellowship-trained sports medicine specialist at Fondren Orthopedic Group in Webster, Texas, brings her extensive training and experience to your recovery, using the latest medical procedures to relieve your pain and get you back on your feet. If you live in the Clear Lake or Greater Houston area and suffer from knee pain, call or request your appointment online today. What are the most common sports-related knee injuries? Knee fractures are common in the patella (kneecap), though the femur and tibia are also prone to fractures. You’re at the greatest risk for a fracture from high-impact sports or accidents. A knee dislocation occurs when any of your knee bones are displaced, usually causing you to lose full function of your knee. Like fractures, they’re most often caused by high-impact sports, falls, or other accidents. Perhaps the most common sports-related knee injury, you can sustain a tear to the anterior cruciate ligament (ACL) during various sports activities. It often occurs when you need to change direction or turn suddenly, or you land incorrectly from a jump or stride. Though you’re most likely to experience a meniscus or tendon tear during sports or while running, any movement that involves turning, twisting, or pivoting can result in a tear. Your chance of suffering one of these non-sports-related tears increases with age and conditions like arthritis. The cartilage is the soft tissue covering of a joint that helps it glide smoothly during movement. Different disorders of this tissue can cause pain, such as arthritis, OCD (osteochondral defect) lesions, and acute sport injuries can also shear the cartilage and cause damage. Are women at greater risk for knee injuries? Anatomy: Women have wider hips than men, affecting the alignment of their knees and causing a more “inward” motion during movement. Function: Women favor different muscles in the hips and legs when performing physical activities, leading to a greater risk of muscle strain or tears. How can I prevent a knee injury as a woman? If you want to reduce your risk of experiencing a knee injury during physical activity, Dr. Copeland recommends exercises that strengthen the muscles supporting the most common injury sites, such as the quadriceps or hamstrings. Combine this exercise with a proper stretching routine to keep your muscles limber during sports and workouts. If you have a knee injury and you live in the Clear Lake or Greater Houston area, call or request your appointment online today.